Crystal Bowls, Tibetan Bowls, Pan Pipes, Tin Shas and Chimes, Rain Sticks, Animal Sounds and more. We have a wide range of sound products. Frosted crystal bowls are in sizes from 10 to 18 inch diameter and clear crystal bowls from 130mm to 202mm (5 to 8 inches) diameter. We also have practitioner bowls which are clear quartz bowls mounted on a handle. Hand beaten Tibetan bowls are available in various sizes from about 500g to 4kg in weight. we also have machine made bowls in boxed sets and Heaching cast bronze bowls. We also stocks a good range of amts, cushions and playing sticks. We also stock pan pipes, tin shas, rain sticks, thunder shakers, wind chimes and more. 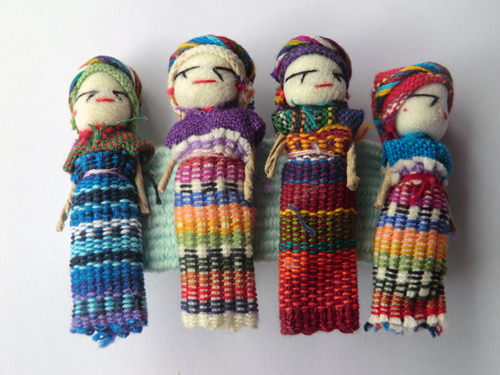 Fair trade Guatemalan worry dolls are sold in bags and boxes. We also have larger (2 inch, 50mm) worry dolls which are sold individually or in drawstring bags. Small worry dolls are also available loose and we now have hairslides decorated with worry dolls. 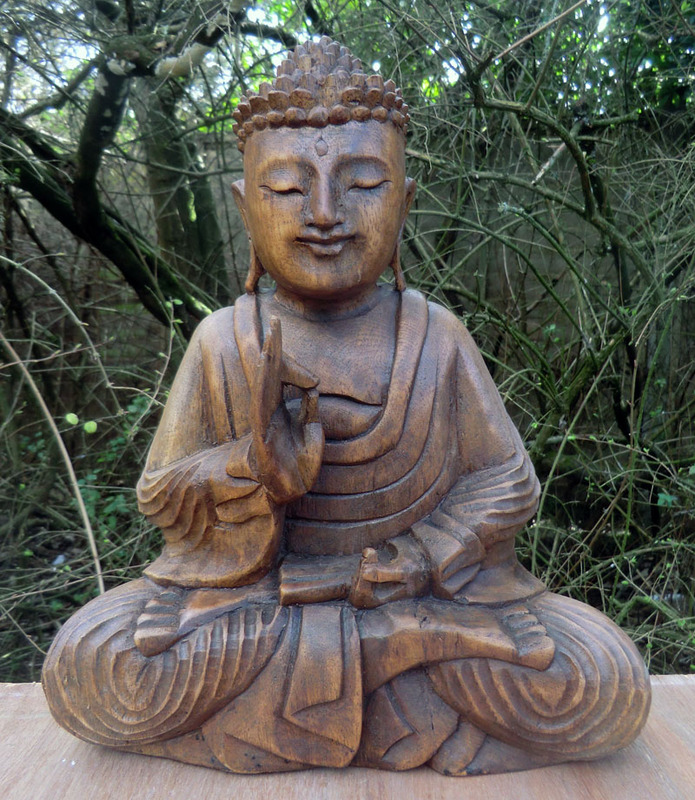 Our carved wooden Buddhas are fair trade items made in Bali in a range of sizes. We also have Buddhas cast in metal and decorated with paint and gold leaf. Other Buddhas are carved from crystal or made from reconstituted stone. We also stock Buddhist prayer flags and prayer wheels. We have a large range of crystals and minerals in natural and polished form. 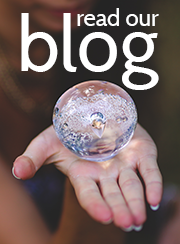 Carved and polished items include dowsing pendulums, spheres, eggs, worry stones, scrying mirrors and more. 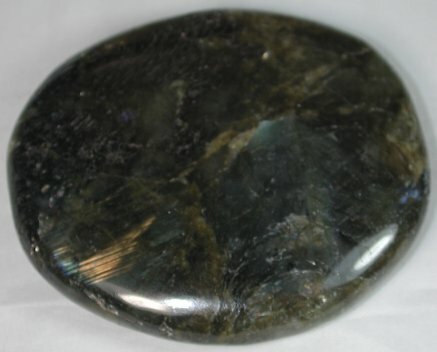 Natural mineral specimens are sold as individual pieces. We also stock points and clusters. A lot of items are not yet on the web site so please contact us if you are looking for something specific. Angel Figurines, Angel Confetti, Angel Magnets, Angel Boxes, Angel Stickers, Angel Keyrings, Fairies and more. Many of our angel products are produced by Angel Star who use polystone to make very detailed moulded shapes with a sparkle. We have a range of figurines, boxes and magnets. Also in stock are angel themed confetti, key rings and stickers. We also have fairy figurines. 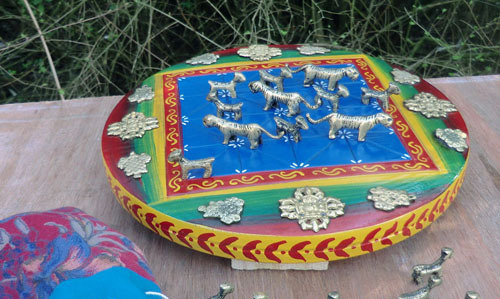 We stock wooden and folding metal designs of this game which is the national game of Nepal. It is an interesting where one player has four tigers and the other twenty goats. It is a very evenly matched game and surprisingly complex despite having simple rules. Wooden versions have brass playing pieces which are supplied in a drawstring bag. Brass folding versions are in two sizes - the playing pieces are stored in an inside compartment. 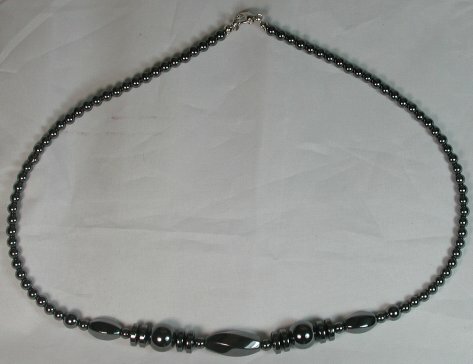 We have a large range of bracelets, necklaces and ear rings some of which are fair trade products. We have a range of treasure chest money boxes with secret catches. 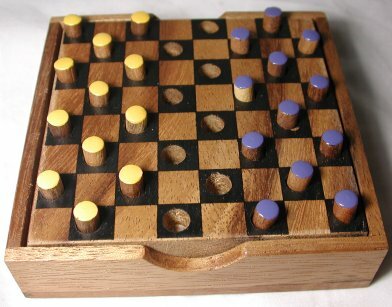 Our range of games includes chess sets, draughts, maze games, ludo and dominoes. Key rings, fridge magnets and bookmarks are available in a large variety of animal designs and also with transport themes. We have many more products including animal figurines. 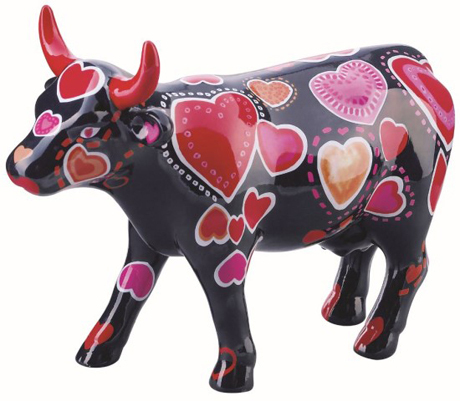 Cow Parade, Trail of the Painted Ponies and Dog Parade and small ceramic or resin versions of full sized animals decorated by artists. These are smaller versions of cows that have appeared in Cow Parades around the world. We have Nag Champa incense and soap. to go with the incense there are large ranges of ash catchers and smoke boxes. Tree Free greetings cards are made from kenaf fibre. Twelve lovely cards with equally well decorated envelopes are supplied in a metal tin which doubles as a picture frame. We have a range of bags and also sell micro orgone. In our Bargain Corner we have various discontinued items and other products in limited quantities.